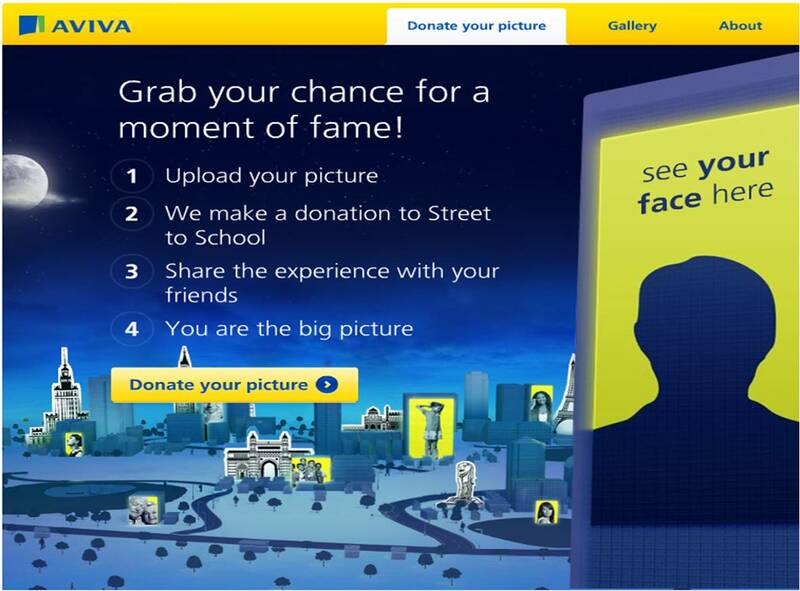 Aviva 'You Are The Big Picture' - Facebook + giant outdoor across the world! 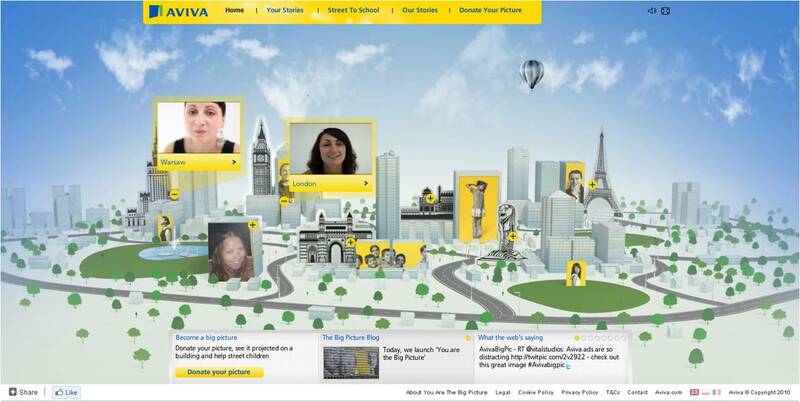 Aviva have launched the 'You Are The Big Picture' global campaign which aims to demonstrate Aviva's commitment to putting customers at the heart of its business. Activity in London, Warsaw, Paris and Singapore (with Delhi and Mumbai to follow next month) involves a combination of giant outdoor and Facebook to bring the message to life. 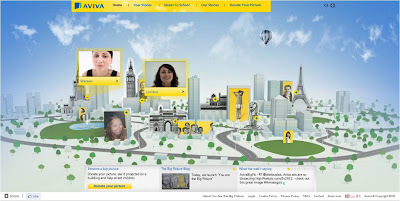 - Landmark buildings across the 6 cities are being wrapped in portraits of Aviva customers, employees and partners, highlighting stories that bring to life Aviva's brand promise of individual recognition. - Furthermore, through an Aviva 'You Are The Big Picture' Facebook app (here), Facebook users around the world have the chance to have their photo projected onto one of the buildings in the six participating cities - and for the first 250,000 photos uploaded by members of the public, Aviva will donate £1 per image to Save the Children as part of its global Street to School programme. The campaign has been supported with a range of media placements including homepage takeovers on MSN and Yahoo!, newspaper coverwraps, innovative outdoor and sponsorship of the FT iPad app. Can't wait to see the projections start!